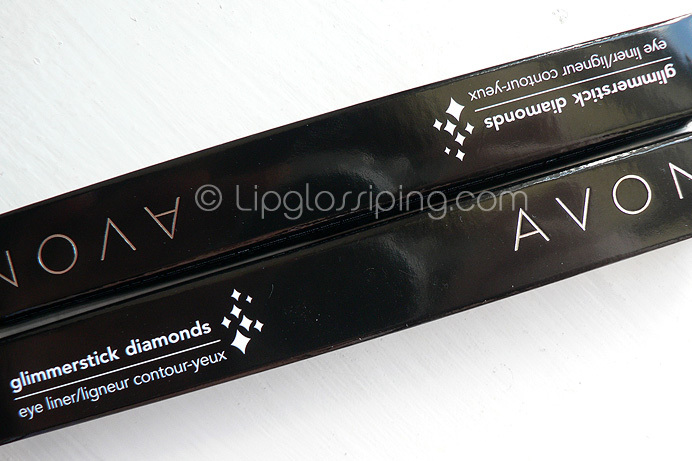 Something else that caught my eye during the recent Avon event were their range of Glimmerstick Diamond Eye Liners. Being the magpie that I am, my eyes were drawn to these sparkly creations from 20ft away. Currently available in a range of 6 colours, I was lured in by the cool tones and made off with the blue and plum shades named: Twilight Sparkle and Sugar Plum respectively. I do love pencil eyeliners, they’re so versatile and I often use smudged coloured liners as an alternative to eyeshadow on lazy days. I thought that these might bring a bit of sparkle to the festive season… and I was right! The texture of the Avon Glimmersticks Diamond Eye Liners is a little hard and they definitely benefit from being warmed up on the back of my hand before applying to the delicate eye area. Although in stick form, they look hugely glittery… once applied, the effect is somehow sophisticated. It’s not subtle… but it’s not childish glitterbomb either. 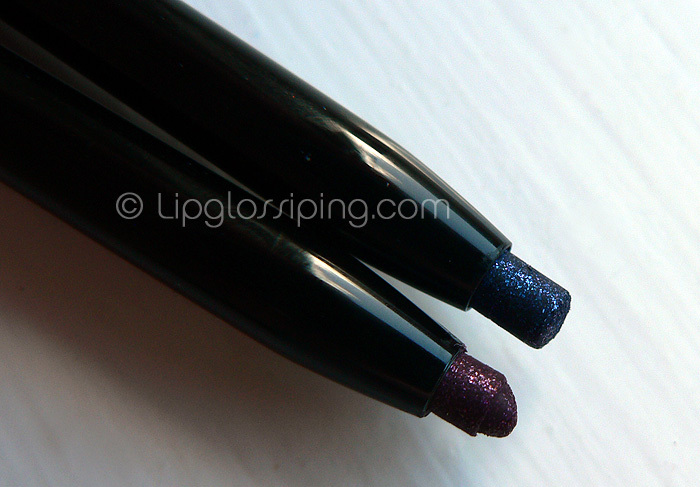 The base colour of the liner holds the sparkle successfully without too much fall out, even after smudging. Of the two shades that I was given, Twilight Sparkle is the knock out… it’s truly luminous and I’m loving adding a small amount of this under my lower lashes to spice up a bronze eye. I haven’t applied these along the waterline because I’m not OK with the idea of having glitter so close to my eyeballs but they wear most of the day applied along the lashline. One issue I have found with these is that the lid is quite hard to remove! I destroyed the nib of Twilight Sparkle (as you can see in the photo) because I really had to yank at the top to remove… which resulted in a clumsy side swipe and a swift guillotine action! The Avon Glimmersticks Diamonds Eye Liners are currently half price on the Avon website, priced at £3 each. An absolute steal, I assure you! 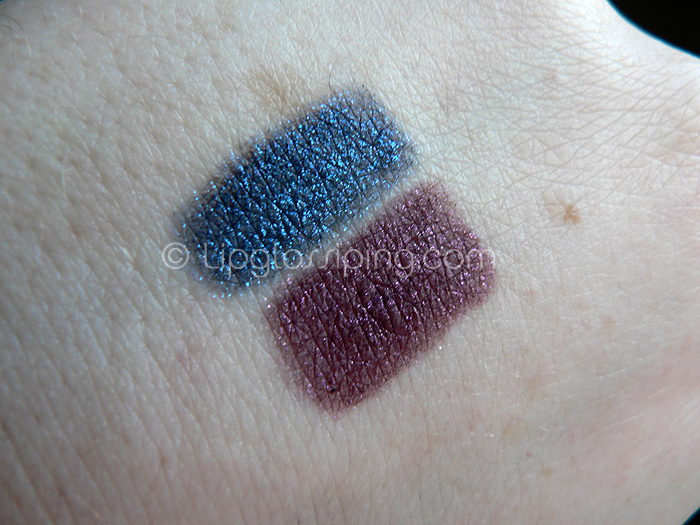 While I’ve got your attention… I’ve updated my original Avon SuperShock Gel Eyeliner post to include a photo and a swatch of the liner in Silver as per your requests. You can find the link here (scroll to the bottom for the update). I have the original [smokey diamond] which at the time, assumed was black but is actually grey. Then they came out with Black Ice which is black. The blue is stunning, especially with my blue eyes. I have twilight and the grey one and I love them so much, they last forever on my upper lid! I’ve not tried them on my waterline either, I’d rather use none glittery liners there as well. 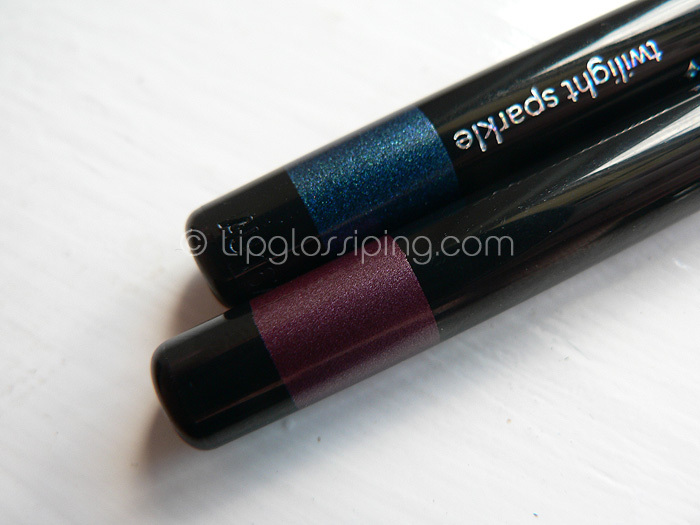 These remind me of the glitter eyeliners that Tony&Tina did aeons ago – they were a great brand – liking the price very much. Know what you mean about glitter near the eyeballs, eyeliner collecting in tear ducts and producing tinted *sleep* is bad enough, but glittery *sleep*, no thankyou. Love that blue, it’s so pretty and sparkly!